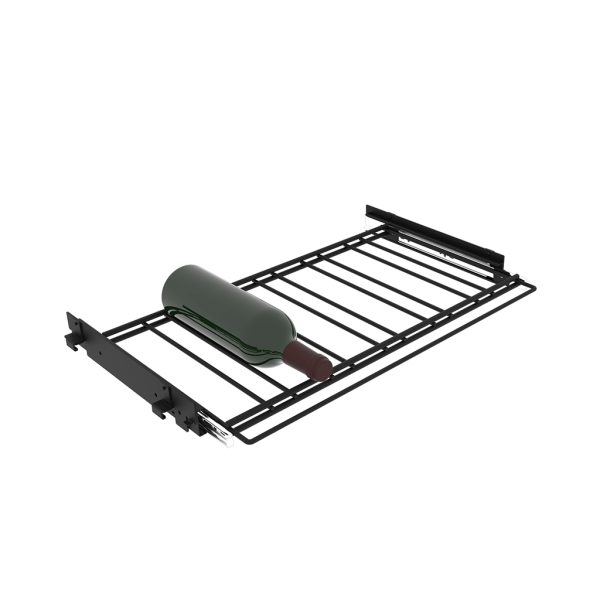 The Drawer-Shelf is designed to welcome wooden wine cases. This enables bottles to be removed one at a time, while leaving them in their original cases. The wine estate’s stamp on the case panel becomes visible. The Shelf-Drawer is also suitable for storing 6 bottles of 75 cl without the wooden case. Powder-coated steel. Doesn’t fit with the Wood System cellar.